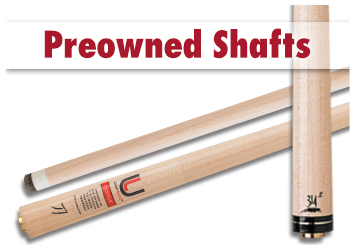 So you know how we have that sweet 60 Day Satisfaction Guarantee that even includes chalked pool cues? Well sometimes when a product doesn’t work out, we take it back so we can get you all something that’ll work out better. When that happens, the products don’t go back into stock. Instead, we clean them up, put them through a thorough examination (grades and descriptions can be seen on the product pages) and then offer them on our Certified Pre-Owned (CPO) clearance pages with an extra discount! 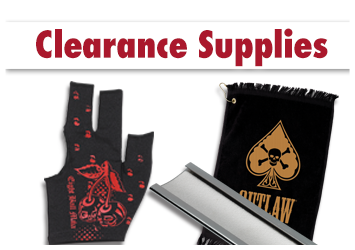 You can find some real gems-of-a-deal in this section! 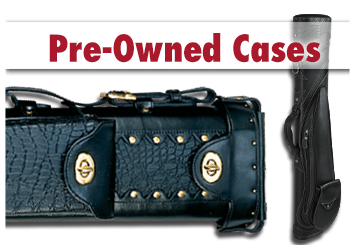 We are always adding more of these Certified Pre-Owned specials so be sure to check back. 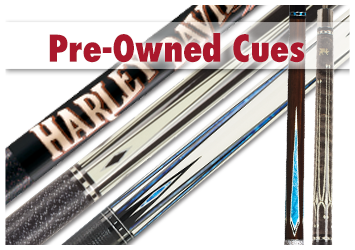 Every CPO pool cue, shaft, and case in this clearance section is its own unique deal. If you see one you like you better jump on it! If you don’t someone else might buy it up first.